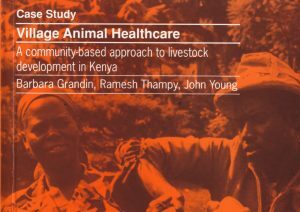 The latest AuthorAID online course started on 20 October 2015. 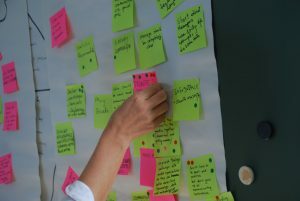 The course includes over 1,200 participants and 20 facilitators from the AuthorAID community. 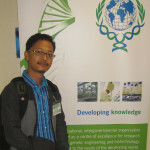 One of the winners of the 2015 INASP/UNESCO Open Access Week competition, Dr Roshan Kumar Karn, has received a special recommendation from the Electronic Publishing Trust for Development for their work with Open Access in Nepal. This week is Open Access Week and we have been having lively discussion about open access on Twitter with our library community. This week the Bangladesh Academy of Sciences held a journal editor course in Bangladesh, with support from an INASP workshop grant. See photos from the course on our Facebook page. 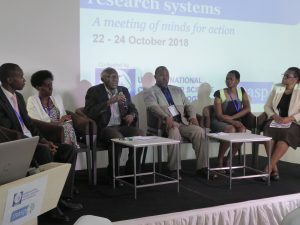 On 20 October, ZeipNET, one of the members of the VakaYiko evidence-informed policy making consortium, held a knowledge café in Harare in partnership with the US Embassy. See photos from the meeting on our Facebook page. The INASP and AuthorAID websites have this week seen platform upgrades to ensure that the sites and the data they hold continues to be compatible with the latest security software. Monitoring and Evaluation Officer Jan Liebnitzky will be in Tanzania from 27 October until 11 November as part of a team looking at the outcomes of the Strengthening Tanzanian Publishing (TZAP) project. Tip of the Week #256 – AuthorAID, 21 October, 2015 When proofreading a manuscript, ensure that numbers mentioned in a table or figure match those stated in the text, writes Bernard Appiah. 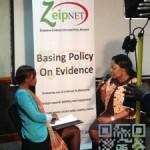 Knowledge Café discusses policy formation in Zimbabwe – INASP News, 20 October, 2015 On 20 October 2015, the Zimbabwe Evidence Informed Policy Network (ZeipNET) is partnering with the United States (US) Embassy Public Affairs Section to host a knowledge café on “Evidence Informed Policymaking in Zimbabwe: Challenges, Successes and Opportunities”. Evidence-informed policy making in Zimbabwe: Challenges, Successes and Opportunities – Practising Development, 20 October, 2015 INASP’s partner ZeipNET organizes a Knowledge Cafe in collaboration with US embassy to discuss challenges, opportunities and successes for implementing evidence-informed policy making in Zimbabwe. 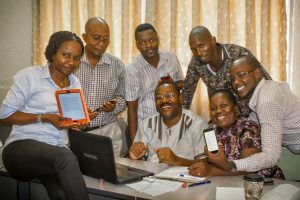 Open Access Week 2015: Join the conversation with INASP – Practising Development, 19 October, 2015 This week is Open Access Week 2015 and the theme is ‘Open for Collaboration’. INASP, in collaboration with UNESCO, is hosting a competition for 10 successful applicants with grants to support Open Access-related events. Video interview explains how DFID is using evidence – GINKS blog, 19 October, 2015 Article by INASP’s Qurratulain Zaman.